Sandra Heitmeier Thompson's New Book 'Happy Thanksgiving to Auntie Yammy' Tells of a Turkey's Efforts to Outwit His Owner From Turning Him Into a Holiday Dinner. Recent release "Happy Thanksgiving to Auntie Yammy" from Covenant Books author Sandra Heitmeier Thompson is an entertaining read about a fowl's journey to finding friendship and safety after running away out of fear. THE WOODLANDS, Texas, November 5, 2018	(Newswire.com) - Sandra Heitmeier Thompson, an elementary school teacher for over thirty years, has completed her new book, “Happy Thanksgiving to Auntie Yammy”: an enjoyable tale of the turkey Clarence and his trail to escaping certain death at the hands of Farmer Hayman. Published by Covenant Books of Murrells Inlet, South Carolina, Sandra Heitmeier Thompson’s new book is truly a wonderful tool that teaches lessons on companionship and appreciation for life. 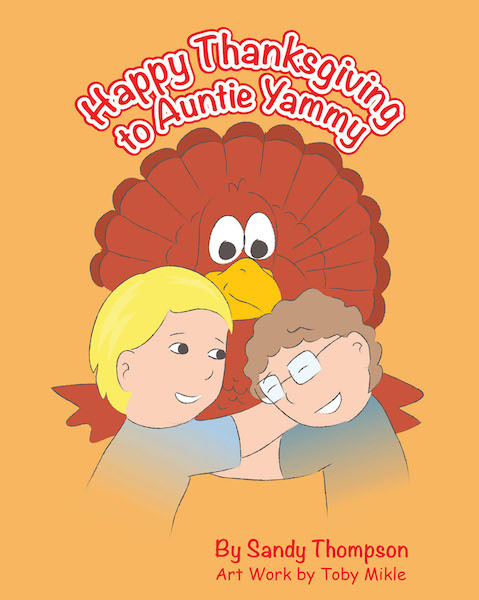 Readers can purchase “Happy Thanksgiving to Auntie Yammy” at bookstores everywhere, or online at the Apple iTunes store, Amazon, or Barnes and Noble.